Near Clear Creek Metropark, south of Lancaster, Ohio. 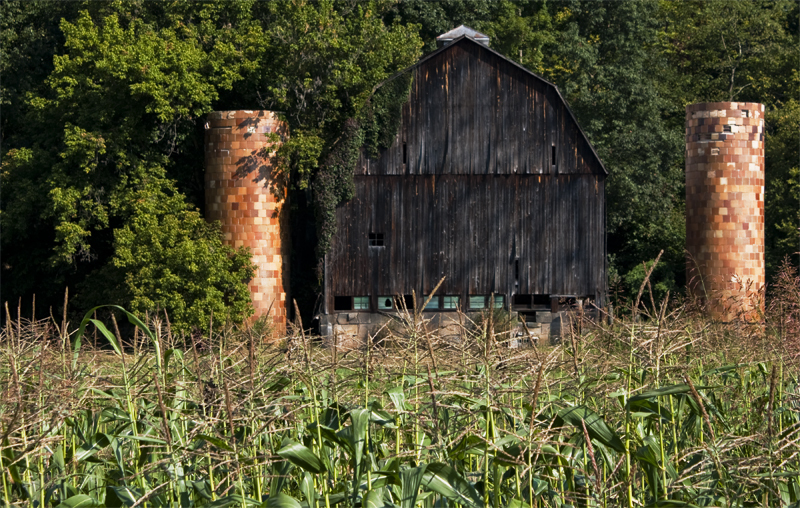 Tom: Nice capture of the barn and silos, cool composition. I saw that barn when we were at Clear Creek a few weeks ago, and I really wanted to shoot it. We were planning to come back before dark but didn't make it. Nice shot! I'll get it sometime.